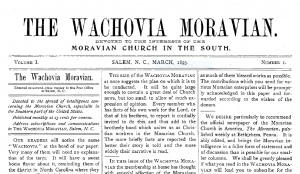 One of the best resources for Moravian Church study is the monthly newspaper, The Wachovia Moravian. 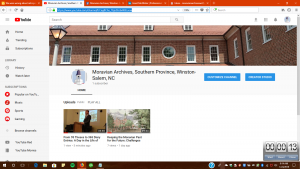 Over 77 years, from March 1893 to August 1970 The Wachovia Moravian recorded the life and activities of the Moravian Church, Southern Province. Ministers and missionaries, workers and laity all contributed their portion of the historical record. Church and secular events, baptisms, marriages, deaths, even advertisements provide a window to the world as seen in its pages. 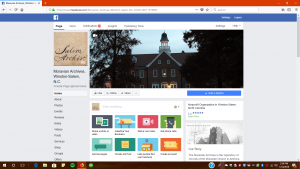 The Wachovia Moravian has been digitized and is available on our Reading Room computers and here online. 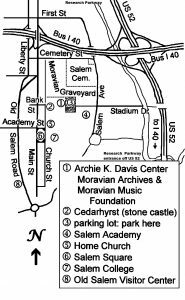 Notes by former Archivist Starbuck: This “edition” of The Wachovia Moravian is taken from microfilms. The issues from March 1893 through December 1914 were provided courtesy of the North Carolina Newspaper Project of the North Carolina Office of Archives and History. The remaining issues to August 1970 were microfilmed from the collection of the Moravian Archives, Winston-Salem, North Carolina. Every issue is computer searchable except for an occasional “white” copy (for example, March 1893). 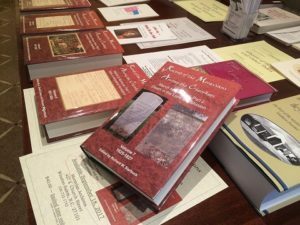 The handwritten dates on many of the issues were kindly provided by the late Burton and Anna Snyder, more widely known as devoted band members of Fairview Moravian Church. It must be remembered that those who wrote for The Wachovia Moravian did so with the most advanced insight of their time, which to our more finely attuned sensibilities may seem quaint or even offensive. But they were doing their best in presenting the mission field history for such remote lands (at the time) as Nicaragua, Alaska, Southern Africa, and India.